First and second early potatoes are sprouted (chitted) before planting. This helps reduce the time the tubers spend in the ground and may lead to increased yields. Put the seed potatoes in a single layer on a seed tray (or an egg box) with the end with the most ‘eyes’ or buds facing upwards. Keep in a cool, light, frost free place (an unheated room is ideal, but avoid direct sunlight). Dark shoots should grow to about 5cm (2in) within around 6 weeks. If conditions are too dark and warm – shoots will be pale and leggy. Choose four strong shoots and rub off all weaker shoots. 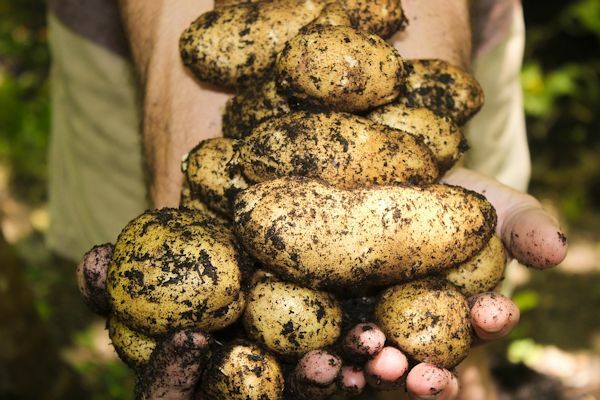 The tubers are now ready to plant in the ground, as long as soil conditions are suitable – around March in sheltered areas; April in colder places. You can find a range of seed potatoes online or in store now.